It is likely that over the years I am becoming more sensitive to these kinds of issues, however, I have always tried to contribute my grain of sand in this type of companies. The target audience of GAAD is the design, development, usability, and related communities who build, shape, fund and influence technology and its use. While people may be in the topic of making technology accessible and usable by persons with disabilities, the reality is that they often do not know how or where to start. Awareness comes First. More information: CodeTalk: Rethinking IDE accessibility. And of all the examples and stories that have been presented, I think the new Xbox Adaptive Controller Deserves a special mention. In the following ArsTechnica article, In the lab with Xbox’s new Adaptive Controller, which may change gaming forever there is more Information about the Research process and Manufacturing of this device. Microsoft Research, CodeTalk: Rethinking IDE accessibility. Es probable que con los años me esté poniendo más sensible con este tipo de temas, sin embargo, desde siempre he intentado aportar mi grano de arena en este tipo de empresas. The target audience of GAAD is the design, development, usability, and related communities who build, shape, fund and influence technology and its use. While people may be interested in the topic of making technology accessible and usable by persons with disabilities, the reality is that they often do not know how or where to start. Awareness comes first. Mas informacion en CodeTalk: Rethinking IDE accessibility. Y de entre todos los ejemplos e historias que se han presentado, creo que el nuevo Xbox Adaptative Controller merece una mención especial. El en articulo de ArsTechnica, In the lab with Xbox’s new Adaptive Controller, which may change gaming forever es posible conocer mucha mas información sobre el proceso de Research y manufactura de este device. [#KINECT] KW4 Wants You !!! Por cierto, te acuerdas de esto? Author elbrunoPosted on 24 Aug 2013 24 Aug 2013 Categories Kinect, KinectSdk, XBox, XBoxOneLeave a comment on [#KINECT] KW4 Wants You !!! until July 31, you have the opportunity to participate in an initiative of the team’s development of Kinect so that “you pay” the new Kinect in September (instead of waiting until November). Logistics is very simple, just browse this link, complete the questionnaire with your personal data, you describe a KILLER IDEA for an application that uses the new Kinect and ready! It is likely that in September already you’re connecting to your computer USB 3.0 the new Kinect sensor. Disclaimer: importantly, the really important thing is the idea to the sensor used. 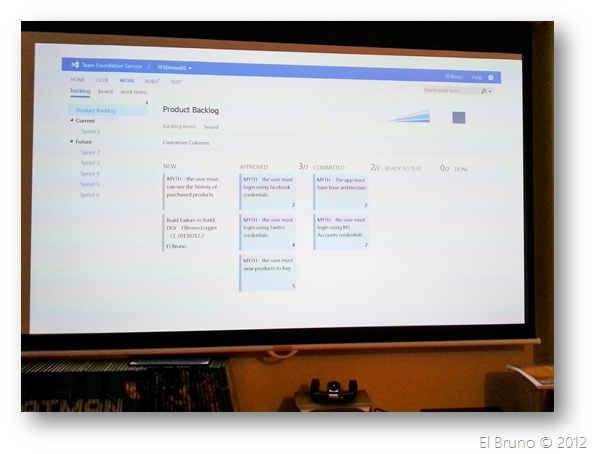 Did you know that the web interface is also accessible from the XBox 360 console? With the latest updates, the XBox has the IE10 within the same engine, and clear access to the Dashboard of TFS, because we can. ¿Sabías que la interfaz web también se puede acceder desde la consola de la XBox 360? 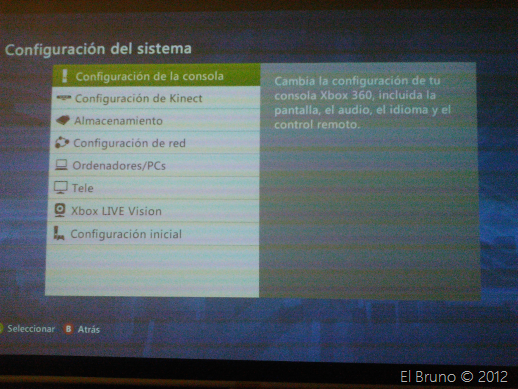 Con las últimas actualizaciones, la XBox posee el motor del IE10 dentro de la misma, y claro accedemos al Dashboard de TFS, porque podemos. now if! it’s official and we can talk about them. Windows 8 it is RTM, Surface also and of course, if you share your Microsoft Account from your Windows 8 and your XBox you can leverage the power of SmartGlass. First, the first thing we have to search for it in the store and install it. 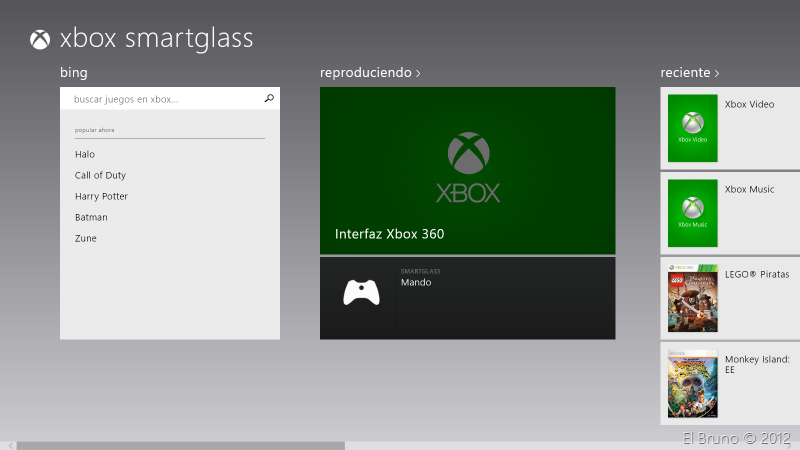 Now we can already launch XBox SmartGlass and see that the app takes a few seconds to connect to the console. 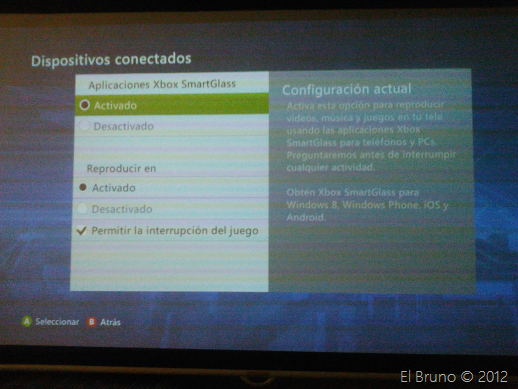 Once connected, the console will display a notification indicating that the app has been connected and we can already access the different elements of XBox SmartGlass from the menus of the application. 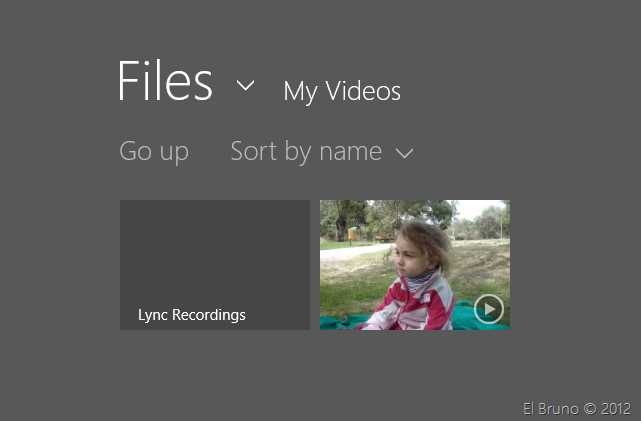 Now, to give you the impressive touch you most want to do is share a video from your computer to the console, to do this you must open xbox Video. Here you can select a video of those who are in the xbox channel (by loosening a few urakos € of course); or select the option “open or play any element” to select a video from your local disk. And then with the option to “play” the contents are passed automatically to the console. 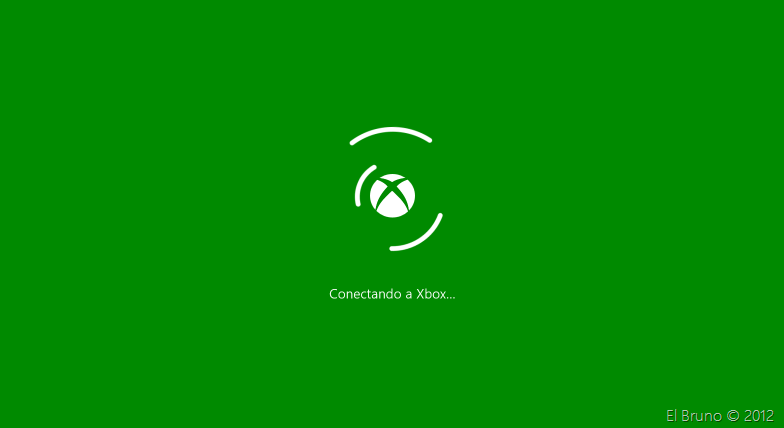 At this moment we can control the playback of the video from our Windows 8 and also disconnect at any time of the Xbox 360.
ahora si! 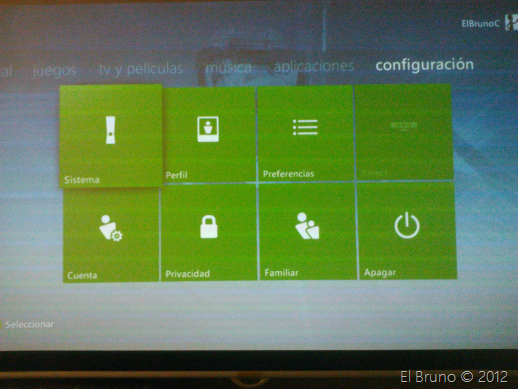 ya es oficial y podemos hablar al respecto.Windows 8 es RTM, Surface también y claro, si compartes tu Microsoft Account entre tu Windows 8 y tu XBox puedes aprovechar la potencia de SmartGlass. Primero, lo primero, tenemos que buscarlo en la store e instalarlo. 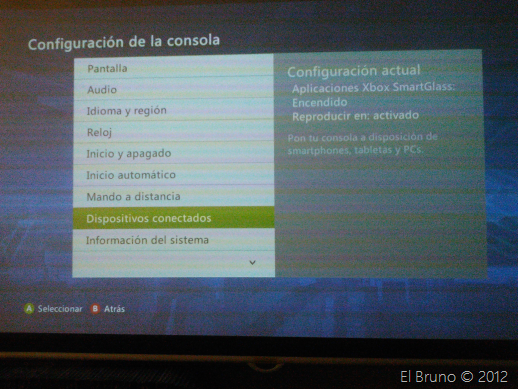 Ahora ya podemos lanzar XBox SmartGlass y veremos que la app tarda unos segundos en conectarse a la consola. 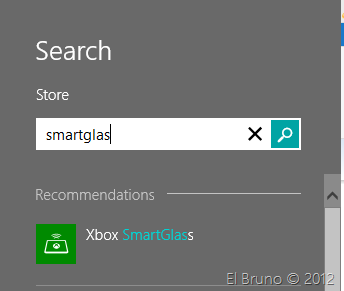 Una vez conectada, la consola mostrará una notificación indicando que se ha conectado la app y ya podremos acceder a los diferentes elementos de XBox SmartGlass desde los menús de la aplicación. 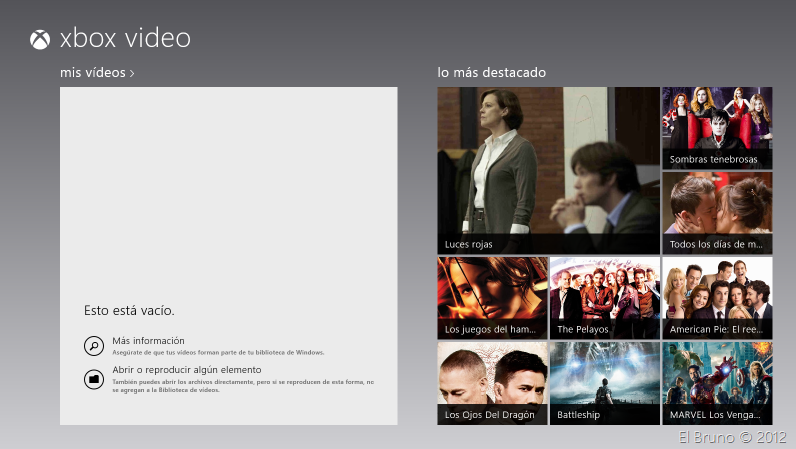 Ahora bien, para darle el toque impresionante lo que la mayoría queremos hacer es compartir un video desde tu ordenador a la consola, para esto deberás abrir xbox Video. Aquí podrás seleccionar algún video de los que están en el canal de xbox (aflojando unos €urakos of course); o seleccionar la opcion “abrir o reproducir algún elemento” para seleccionar un video desde tu disco local. Y luego con la opcion de “reproducir” el contenido se pasa automáticamente a la consola. En este momento podremos controlar la reproducción del video desde nuestro Windows 8 y además desconectar en cualquier momento de la XBox360. News relacionadas con el .Net Framework. En este caso, desde Microsoft Press Pass, donde nos cuentan que XNA Framework contiene una implementación de .Net Framework, para que los desarrolladores puedan aprovechar las ventajas de C# para el desarrollo de juegos. The XNA Framework contains a custom implementation of the Microsoft® .NET Framework and new game-development-specific libraries designed to help game developers more easily create cross-platform games on Windows® and Xbox 360 using the highly productive C# programming language. Using the XNA Framework, game developers will benefit from the ability to re-use code and game assets in developing multiplatform titles, without sacrificing performance or flexibility. "We’ve been writing games for the last 15 years as monolithic, single code bases that are growing unwieldy and complex," said Chris Butcher, lead developer at Bungie Studios. "C# on Xbox 360 lets us think about new modes of programming. It lets us get back to creating a game rather than wresting with code, while maintaining the real-time performance that we need." With millions of developers worldwide proficient in C#, the XNA Framework is designed to make game development significantly more approachable for independent and aspiring game developers, while enabling rapid prototyping and concept iteration. "We were proud to be a launch partner with Microsoft for Xbox 360 Live Arcade, and we’ve been pleased with its success so far," said James Gwertzman, director of Business Development at PopCap Games Inc. "Anything that simplifies the process of creating great casual games and lowers the development complexity for Windows and Xbox 360 is something we’re happy to support." La conclusion interesante, es que finalmente podremos utilizar .Net dentro de nuestra XBox. Obviamente, en mi caso, para eso primero necesito la XBox, pero ese es un problema que mi chica se propone arreglar. Actualmente tengo muchos motivos por los cuales esperar a Windows Vista, WWF, WinFx, etc.